Chicago Mayor Rahm Emanuel criticized disgraced “Empire” actor Jussie Smollett during a press conference with Police Superintendent Eddie Johnson Tuesday. 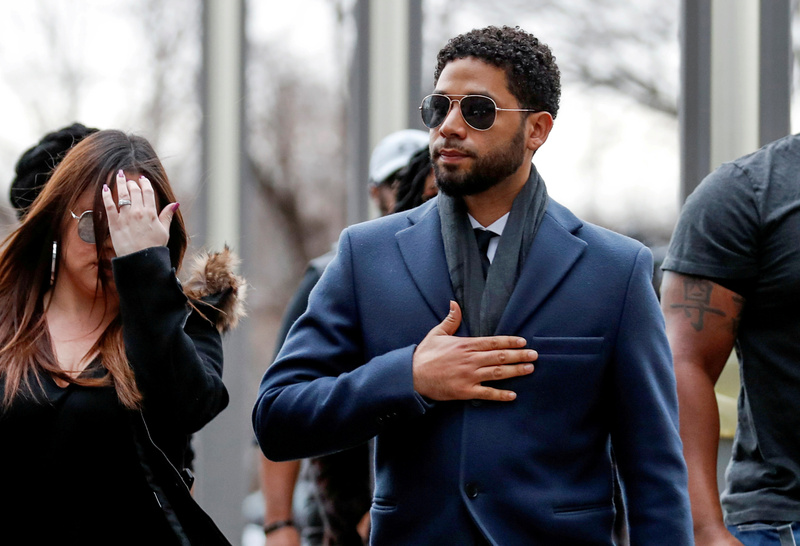 Johnson condemned Smollett, 36, for his role in allegedly orchestrating a fake hate crime despite the fact that charges against the actor were dropped. Smollett was arrested and charged last month for allegedly filing a false police report, which claimed he was attacked, doused in a chemical substance and put into a noose-like rope by two Trump supporters. The actor pleaded not guilty to 16 counts of disorderly conduct earlier this month, but the charges against him were dropped on Tuesday. The ethical costs is: as a person who is in the House of Representatives when we tried to pass the Shepard legislation that dealt with hate crimes putting them on the books, that President Obama then signed them into law, to then use those very laws and the principles and values behind the Matthew Shepard hate crimes legislation to self-promote your career is a cost that comes to all the individuals, gay men and women who will come forward and one day say they were the victim of a hate crime will now be doubted. “He used the laws of the hate crime legislation that all of us, collectively, over years, have put on the books to stand up to be the values that embody what we believe in. This is a whitewash of justice,” Emanuel said. “A grand jury could not have been clearer. To then say not only is the cost of $10,000 doesn’t come close financially but all the other repercussions of this decision it made, to me, where is the accountability in the system? You cannot have, because of a person’s position, one set of rules apply to them and another set of rules apply to everybody else,” he concluded. Johnson also spoke at the press conference and he stood by the investigation. He also expressed his frustration over the charges getting dropped. “If you want to say you’re innocent of a situation, then you take your day in court. I would never — if someone falsely accused me, I would never hide behind a brokered deal in secrecy, period,” Johnson said during the press conference.